Holy Trinity Church was built in 1844 to replace an old chapel-of-ease, which had been built c1535 for South Scarle St Helena. This chapel was transformed into a school in c1734, and subsequently fell into ruins during the 18th century and was demolished. Constructed of red brick with stone quoins, it consists of a nave, porch in the middle of the east side, round apse, and bellcote with one bell at the north end. The apse was added in 1897 when restoration took place. The church building is unusual in being aligned north to south, the altar being at the south end. A pair of marbled classical pillars at the west end support the bellcote. There is a simple tie-beam roof and plain Gothic windows. The bellcote was refurbished in 2009 and a new roof installed. In 2014 the interior of the church was cleared of its pews and other fittings and a short link corridor was built to connect the church with the former village hall; both buildings now form Trinity Hall. 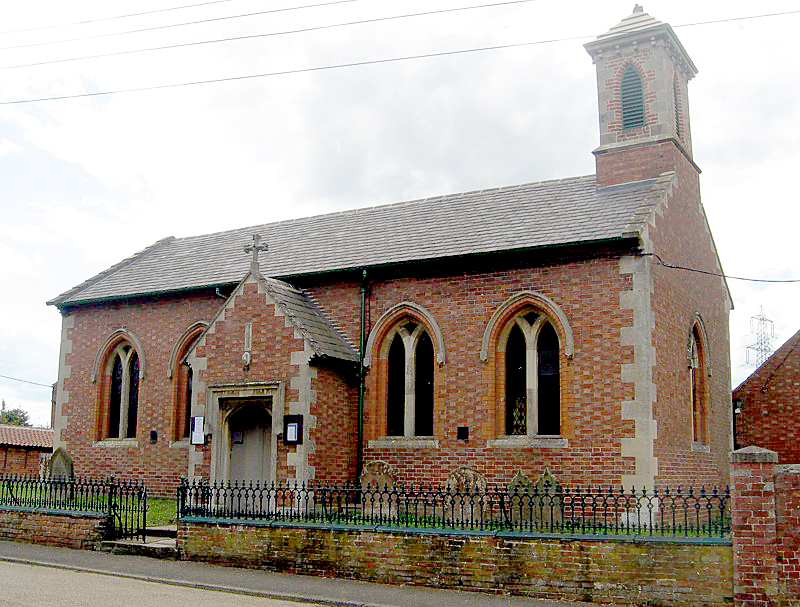 In 1984 Holy Trinity became part of the combined parish of South Scarle, Girton and Besthorpe and subsequently part of the East Trent Group.